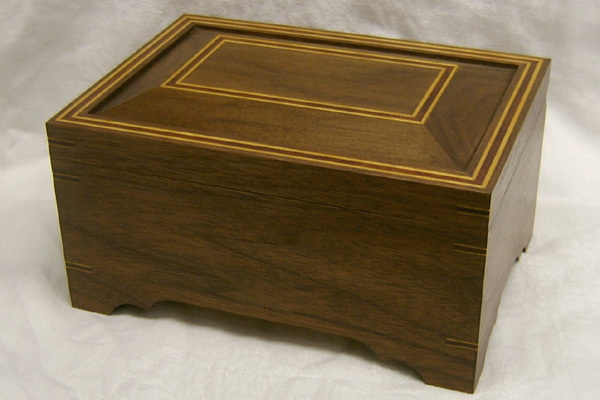 This box is made from Walnut. 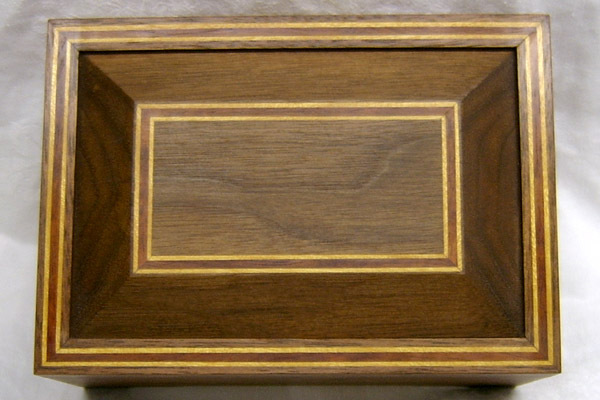 The inlay and miter keys are Yellowheart & Bubinga. The dimensions 7"x 5"x 3.5" tall. 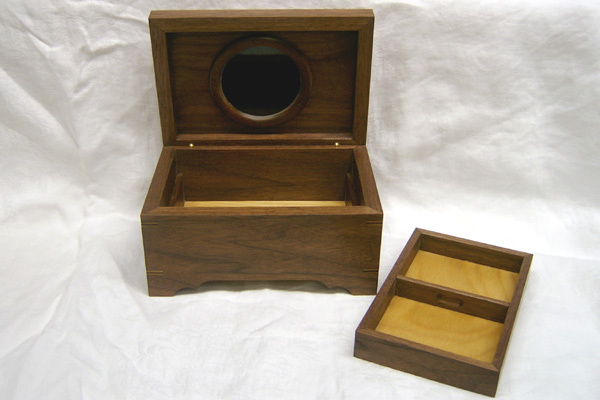 The lid has a black piece of glass inlayed into the lid and is framed by a walnut ring. 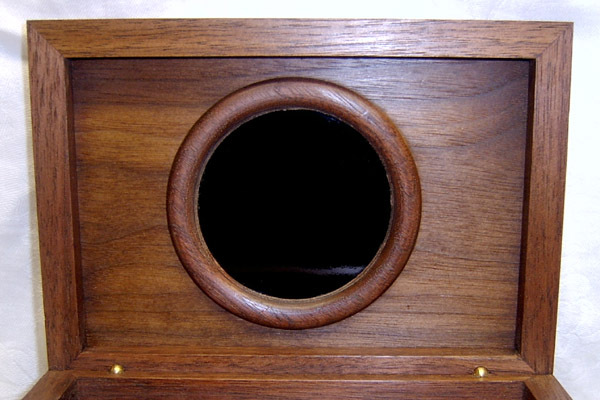 The top panel is made from a different piece of Walnut than the rest of the box. It is a little less red and hence the ring really stands out nicely. It is finished inside and out with a few coats of drying oil. The whole box was then buffed with a coat of Canuba wax. Hinges are a miniture barrel style and the box stays open at about 85*. 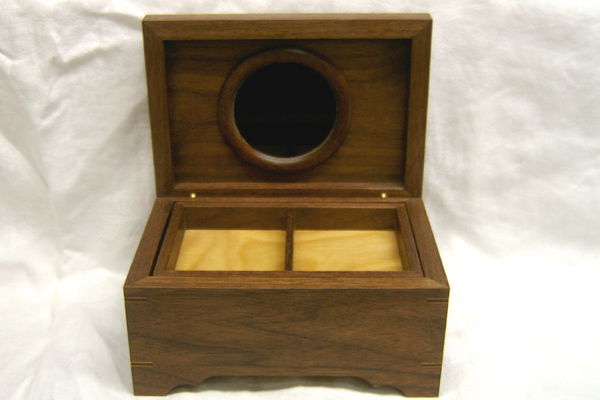 The bottom of the tray and box are also finished with drying oil and a coat of Canuba wax.